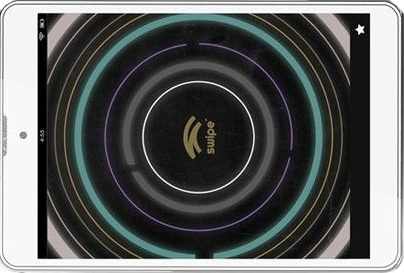 Swipe is a telecom company located on US; The Company now unveiled a new tablet PC associated with MTV. The tab named as Swipe MTV Slash and it priced at RS. 14,999. The device comes with voice calling facilities. Swipe MTV Slate tab comes with 7.85 Inch HD display with 768x1024 pixels screen resolution and IPS technology. The device loaded with Android 4.2 Jelly Bean OS and integrated with 1.2GHz Cortex quad-core A7 processor along with 1GB RAM. It sports 5.0MP rear facing camera for capturing HD images, recording HD videos, and 0.3MP VGA front facing camera with video calling facility. The tab has 8GB of in-built memory for storage needs and it expandable up to 32GB using Micro SD card slot. The device features connectivity facilities through 3G, Bluetooth, WI-Fi, GPS, and 3.5mm audio jack. Its power managed by a 3200mAh rechargeable battery. Shripal Gandhi, Founder & CEO, Swipe Telecom commented on launch “MTV Slate is yet another innovation as a result of an intense market research conducted across the country followed by a development phase and has been custom designed for the end consumers power packed with the latest features and astounding looks, MTV Slate will further strengthen our product portfolio for the youth." Few months back Swipe had unveiled MTV Slash Tab for RS. 9,499. That features 7-inch capacitive HD touchscreen with Android 4.1 Jelly Bean OS and it powered by 1.0GHz dual-core MTK 6577 processor along with 1GB DDR3 RAM. It sports 5.0MP rear facing camera with VGA front facing camera. Data storage managed by 4GB internal storage memory and it expandable up to 32GB using Micro SD cards. For more technology updates Like Us on Facebook or Follow Us on Twitter! A great tab with all the features I would need .Plus added bonus of not spending a lot of money on it Thank you swipe. Yaa, Swipe MTV Slat is a great tablet! Swipe slate is Awesome tablet!